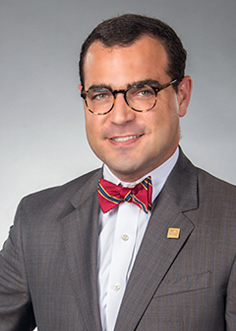 Forrest J. Bass, a Director with the Farr Law Firm, will serve as a member of The Florida Bar Twentieth Circuit Grievance Committee “C” through July 2019. Grievance committees are composed of lawyers and nonlawyers and are responsible for continuing the investigation of possible lawyer misconduct referred by Bar discipline attorneys. Bass is Board Certified in Wills, Trusts and Estates which is The Florida Bar’s “Legal Expert” status. He focuses his legal practice on estate planning, estate and trust administration, and related tax matters. Grievance committees are made up of volunteer members, at least one-third of whom are not lawyers. Each of Florida’s 20 judicial circuits has at least one such committee. The grievance committee reviews complaints with much the same purpose as a grand jury. That is, the committee decides, after a case is submitted to them by bar counsel, whether there is probable cause to believe a lawyer violated the professional conduct rules imposed by the Supreme Court of Florida and whether discipline against the lawyer appears to be warranted.